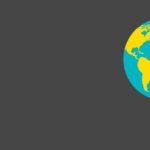 Thank You SPI Community—We Set a Record! Over the past couple of years, I’ve been making it a priority to read (or listen to) 1 book a month. This past year, however, I decided that if I really liked a book and wanted to get actual results from the time I invest reading it, I’d read it again. Here is a list of 5 books that I read more than once in 2014. Some I re-read immediately after finishing it, and others I came back to later in the year. As an entrepreneur, I struggle with trying to do too many things at once, and this book clearly defines the consequences of what can happen when you divide your time between many projects. On the other hand, it’s completely motivating to see what can actually happen when you do focus not just on one project, but one task within that one project. No matter how small that task is, that’s where 100% of your energy should be and it can have a rippling effect throughout your entire business. I’ve been practicing strategies that support this methodology for a while—you may remember me discussing my physical folder organization system in previous podcast episodes—but truthfully I’ve not been using the system as well as I could lately. This book brought me back to where I should be, and throughout the second half of the year I’ve been really drilling down my “One Thing” each day to help me move forward toward reaching my goals. I have a hardcopy of this book on my shelf right in front of my computer, so in case I lose my way, I will always be reminded to focus on that next task, and that’s it. I’m so proud of my friend Chris Ducker for this one. I was there with him (virtually, over Skype) when he got the idea for the book, during those late nights of struggle during the writing process, when he signed his first copies for people and at his book launch party in Portland. It’s been awesome to watch his journey, but beyond that—the book is completely useful and has definitely had a huge influence in my direction this year. If you listened to my recent episode of The SPI Podcast (#138—Meet Team Flynn), you will have met my team, which Chris has been encouraging me to create for years. His book definitely played a major role in my decision to let go of a lot of the tasks that I love to do in my business, but shouldn’t necessarily do as the business owner. 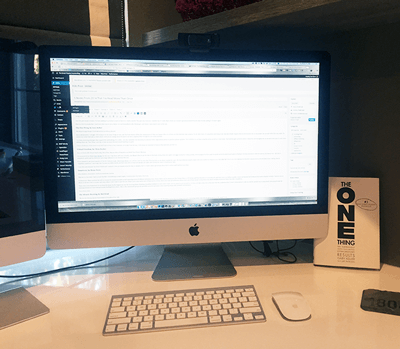 Getting over my “superhero syndrome” was tough, but I’ve seen incredible results and have been able to help more people and make more money as a result of building my team. 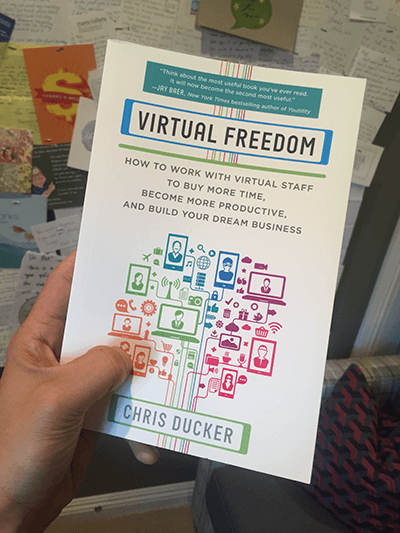 I read this once because I’m Chris’s friend and I wanted to leave an honest review for him on Amazon, but I re-read it when I got serious about how to clone myself and buy more time. This one is a fun read. I had so much fun that I immediately read it again. I’ve never done that before. 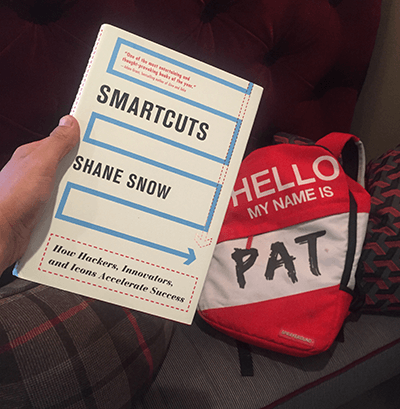 In Smartcuts, Shane analyzes the path to success for several successful people spanning across all different industries, from Jimmy Fallon and his shortcut to The Tonight Show, to Eli Pariser and Peter Koechley of Upworthy who grew their site to 30 million monthly visitors to become the fastest growing media company in history. There are stories about JJ Abram’s rise to success, and many others I don’t want to spoil for you. What’s cool is that under each of these success stories, there were clear and deliberate actions from each of these people to help them jump ahead and gain momentum faster than their competitors. There were a lot of takeaways for me from this book, but the biggest one was the recurring theme of getting immediate feedback for one’s work. People were not afraid to put themselves out there and take action, but at the same time they understood that it wasn’t always going to work out, and the quickest way to jump ahead when going through the learning process is to learn and get honest feedback from others. This is why mastermind groups are incredibly powerful and seem to be a recurring theme with successful entrepreneurs. A lot of you know that I’m a late night owl. I typically do my work after the kids go to bed because I like to spend all day hanging out with the family, so the idea of creating some sort of morning routine was never an option and never did appeal to me. Things were already going well with my current schedule—why fix it if it’s not broken? 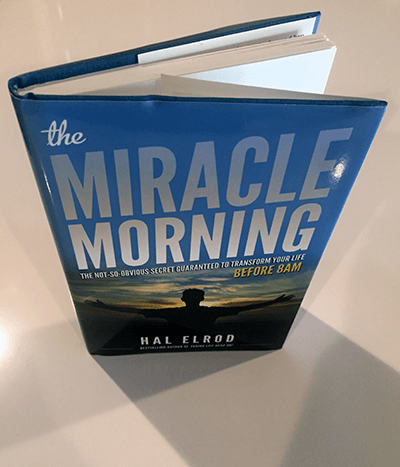 Then, halfway through the year someone named Hal Elrod sends me a couple of his books, one of them being The Miracle Morning. Underneath the tagline, it says “before 8am”. Fast forward to October 2014, I invite Hal on my podcast through a recommendation from a previous guest, and I’m so glad I had him on the show. Not only does he have an incredible story, but the way that he used his mornings to set his days up for success made me re-think my approach to the day and my complete schedule. He changed his life by implementing a simple morning routine, and he lays it out in his book—which I already had. After I recorded that interview, I read through his book (which is a short read), and then I made a commitment to give his miracle morning a shot. I’ve been doing it the last 3 weeks, and already I’m seeing massive changes in my focus, in my mood and in how much I’m able to get done. I still work late at nights, but I trade some of that time now to wake up earlier and go through my own morning ritual, which includes some exercise, meditation and affirmations. Hal will be featured on this week’s episode of The SPI Podcast (Episode #139), so check it out when it enters your podcast feed. Click here to subscribe to the show so you don’t miss it! Have you ever purchased a new car, and then all of a sudden you start noticing that car everywhere on the road? 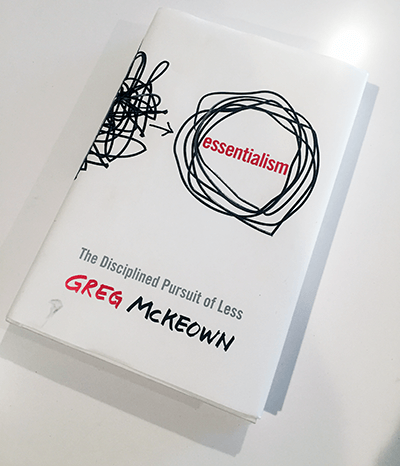 That’s how I feel about Essentialism, because after getting introduced to it this past November at the Platform Conference, I could not seem to get it out of my life. Clearly, a sign that I needed to read it. This book has produced dramatic effects on other people’s lives that I know. For example, Stu McClaren, co-founder of WP-Wishlist, decided to sell his business because of what he learned from the book. Michael Hyatt also expressed just how much the book has had an effect on his life too. Similar in topic to The One Thing by Gary Keller, the book focuses on not only what to focus on, but it gives you a structure on how to understand what should and shouldn’t be a priority. As my brand begins to grow, I’ve been seeing an increase in demand for my time and attention. It is flattering and exciting, but at the same time it has gotten me into trouble because I hate to turn people down. Each of those requests becomes potential clutter that blocks me from what I should be doing or focusing on, and the book outlines a strategy for determining when to say yes, and when to say no, and the 90% of stuff that we should essentially do away with in our lives. It’s a great book not just for business, but for life in general, and out of the entire lot of books here on this page, this would be the one I would recommend more than any of the others. Like Smartcuts, I immediately re-read this book after finishing it with a notepad and pen by my side to write. I’d Like To Give Away 5 Sets of the Above 5 Books! It was a great year of books for me and I’m happy I get to share the ones that had the greatest effect on my life. Since it’s the holiday season, I’d like to give away 5 sets of each of the 5 books I mentioned in this post. All you have to do to enter into this random drawing is leave a comment below with your favorite book that you read (or listened to) in 2014, and a sentence or two about why you chose that book. I’ll choose the 5 winners by the end of Sunday, December 14th, and I’ll email the winners to let them know. Again, it’ll be a completely random selection, but you have to leave a comment below to enter. If your recommendation matches one of my own from above, that’s totally okay. Only one entry per person, and no—they don’t have to be about business, or even non-fiction. Any book! If you like my recommendations, I share more in my personal book club. Once a month, I share a new book I’ve been reading and why I enjoy it. Emails were sent to the winners on December 15th, 2015. Thank you all for these amazing comments and book recommendations—I have a lot of reading to do! And please, feel free to continue to share your recommendations, although please realize, this giveaway has officially ended. Look out for more stuff like this coming soon!